Poor judgment is one of the hallmarks of Alzheimer’s disease. In fact, while a typical symptom of early stages of Alzheimer’s is short-term memory loss, poor judgment can sometimes precede memory loss. Poor judgment refers to the inability to make appropriate decisions. If your relative has Alzheimer's or another type of dementia, she might be unable to evaluate the different factors that should be considered when making a decision. Looking ahead to the possible outcome of behavior or choice may also be a challenge for her, as is considering abstract ideas vs. concrete ideas. Poor judgment in Alzheimer's is not just one questionable decision, but rather a pattern of clearly inappropriate decisions or actions. Here are a few examples of poor judgment in Alzheimer’s disease and other kinds of dementia. Your loved one recently fell and broke her hip. She had surgery and fortunately came through that well. However, she is not able to accurately assess her safety limits. So, even though the doctor told her that she couldn’t put any weight on her hip for a few days, she keeps trying to get up and walk. Even the fact that it hurts her doesn’t stop her from trying to get up out of her chair. Another scenario that demonstrates an inability to recognize danger is one in which your loved one wanders away from the house and tries to walk across a very busy street during rush hour. She is not able to assess the traffic to determine that it's too busy to cross the street at this time. Even though you’ve told your father he can’t give away money anymore, he continues to write checks to the televangelist and the online insurance salesman. You’ve tried explaining that he needs his money to pay for the groceries and the home health aide who comes to help him shower. You've even put a note in his checkbook reminding him of this. Regardless, he continues to write checks and give away money that he needs, or even money that he doesn't have. Perhaps your husband has always been an outgoing, friendly man. Now, however, he doesn't seem to know when to stop. Yesterday, you took him out to lunch and he was so flirty with the waitress that everyone was uncomfortable. The waitress ended up trading tables with another server because she wasn't sure how to react to him. Your sister, who was diagnosed with Alzheimer's a year ago, doesn't spend any time on her appearance anymore. She always had her hair nicely styled, and now she rarely seems to wash or comb it. When you remind her that it's a special occasion, it doesn't seem to make a difference. You also notice that she could benefit from a bath or shower more frequently. Even if it’s the middle of a cold, snowy winter day, your wife with Alzheimer’s might try to go outside dressed in shorts and a tee shirt. When you suggest a change of clothes, she appears irritated and continues to try to wander out the door. This is an area that can be difficult to address. However, if you’re terrified to ride with your loved one as he drives, that’s a pretty clear sign that he shouldn’t be driving anymore. Perhaps he can’t judge the distance from his car to the next one anymore, or he’s not able to discern how fast he should be driving on the expressway. While it can be worrisome and even frustrating to see these signs of poor judgment in your loved one, it may be helpful as you cope to consider that there may be a reason for these behaviors that are beyond their control. An evaluation by a physician can help rule out reversible causes of memory loss, and treatment can begin if it appears that dementia is the cause of these judgment problems. Alzheimer's Association. 10 Warning Signs of Alzheimer's. Alzheimer's Association. 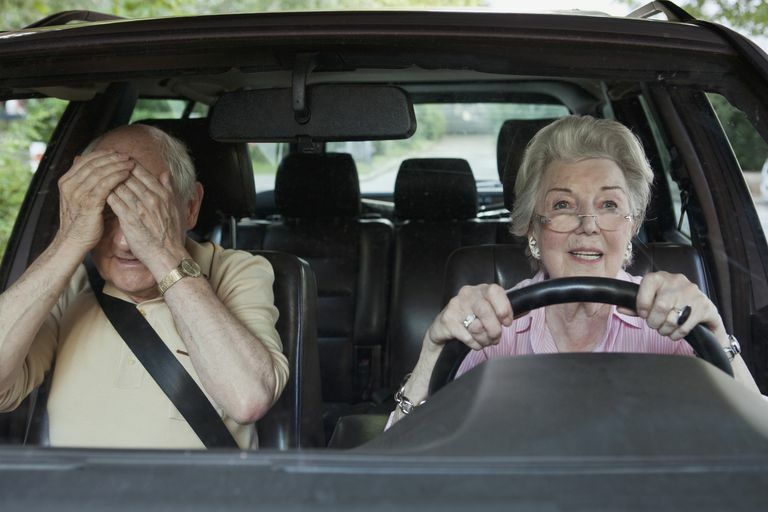 Dementia and Driving Resource Center. Why Do People with Dementia Struggle to Sleep with Insomnia? Is Your Loved One With Dementia Getting Scammed Too Easily?